Best divorce lawyer in Chandigarh and Punjab High Court.. It is really vital to hire the Best divorce lawyer in Chandigarh who is fully reliable. This would be helpful to you throughout the legal process whenever you are filing for divorce or thinking about separation. Such lawyers can easily help you with any family related legal issues of yours. It helps to get a family lawyer even when there is no legal representation needed, to make the process smoother and easier. Here are the following points which would help you in knowing how you can get benefit from a reliable family lawyer in Chandigarh. A divorce lawyer in Chandigarh would have good and sound knowledge about the family law. A skillful lawyer can handle the technicalities of the case appropriately. He can assist you in dealing with the legal aspects in a proper way throughout the whole process. You just have to choose the best family lawyer in Chandigarh. An experienced lawyer also carrying the skills to handle important and sensitive issues related to family law cases. Once you hired a legal representative with such knowledge, skills and experience. He or she would be able to give you continuous legal support to you throughout the entire process. Hiring the Best divorce lawyer in Chandigarh would help in reducing a lot of effort from you end. Once you provided the details and entrust your divorce case to the lawyer it would be their duty to make the things well with regular follow ups and properly handle everything related to your case. As we are all aware about the stressful situations which most of us go through or divorce. It is mentally and emotionally challenging to keep up with the whole process. If your hired lawyer is experienced you would get the higher support both emotionally and legally while your case is in process and lawyer would refer you to other experienced experts to ensure that you are getting extra support you want. This type of support would help you in dealing with the legal process easily without any mental effect. It would be better for you to understand that the Divorce lawyers offer more services than merely providing legal advice; they protect their client’s interests by working hard and make sure everything goes correctly without wasting money and time. Some divorce lawyers in Chandigarh are now providing their clients fixed fees rather than going for the old hourly rate method. 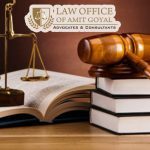 Apart from the above mentioned benefits, there are many benefits of getting a hiring a lawyer for your family related issues in Chandigarh. You can get child custody lawyer in Chandigarh for all your legal concerns relating to your child. If you are having legal concerns related to the child custody, divorce and financial agreements. it would be really better to hire an expert lawyer to express your case in the best way. So, what are you waiting for? For your family, divorce and child custody problems, contact the best lawyer in Chandigarh right now!